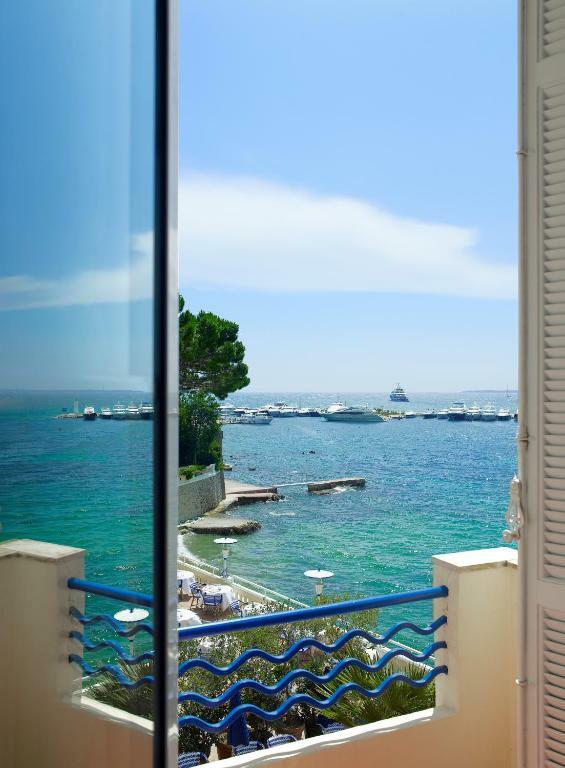 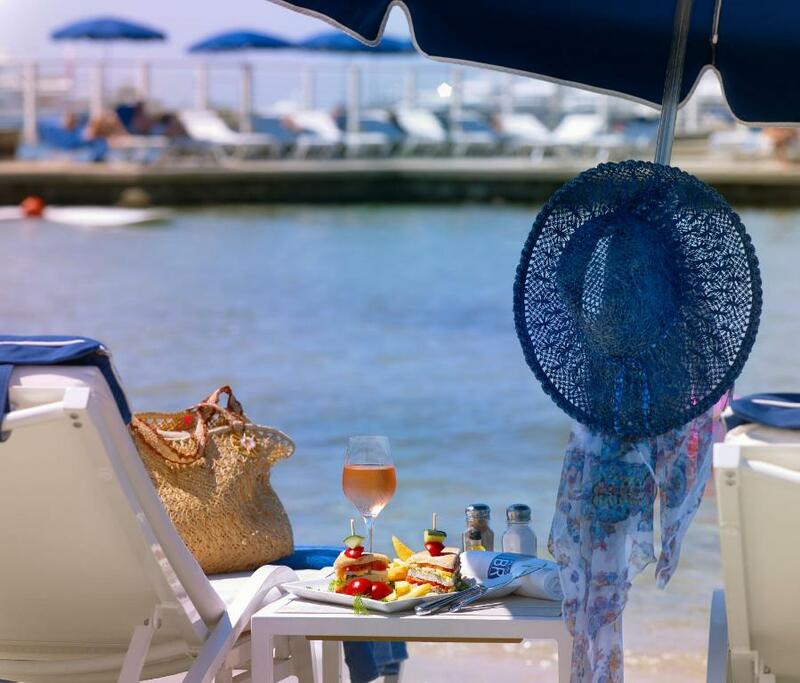 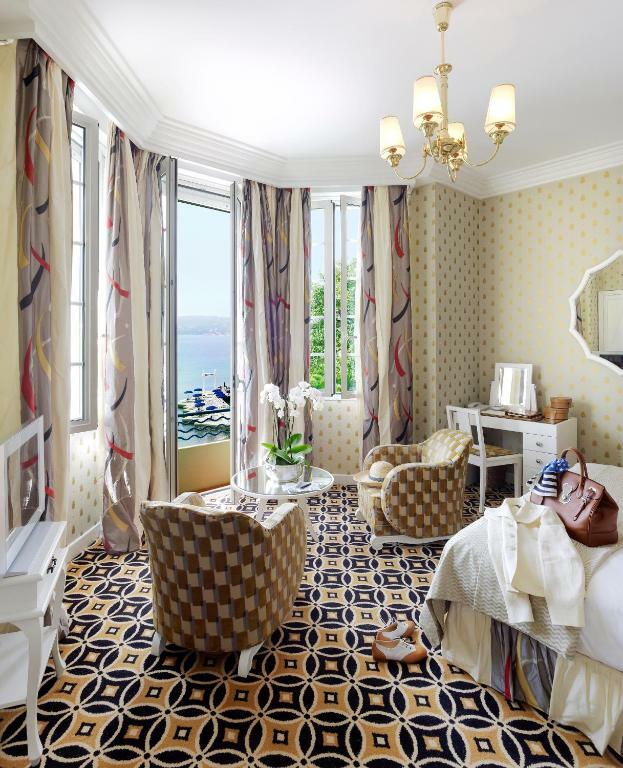 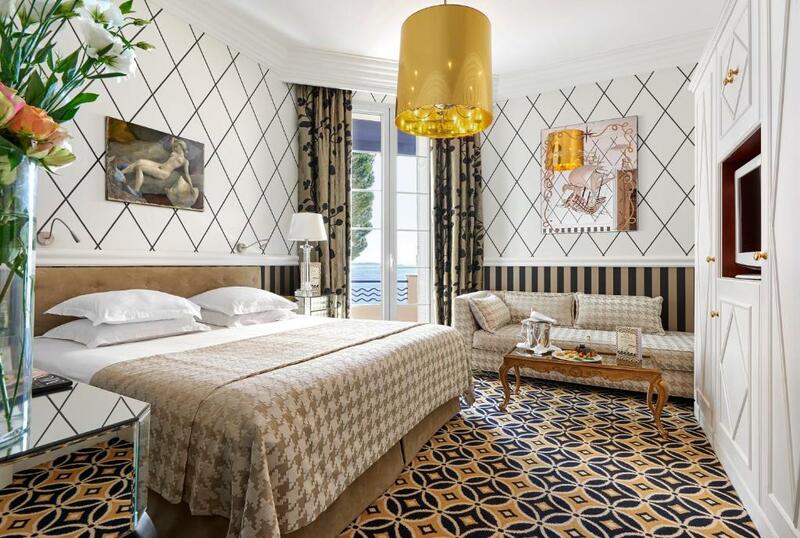 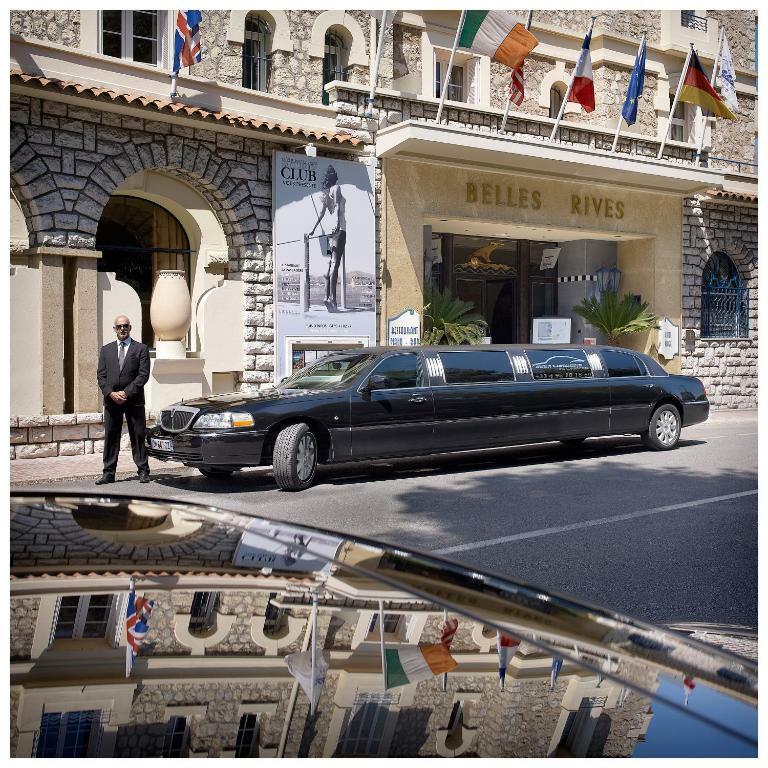 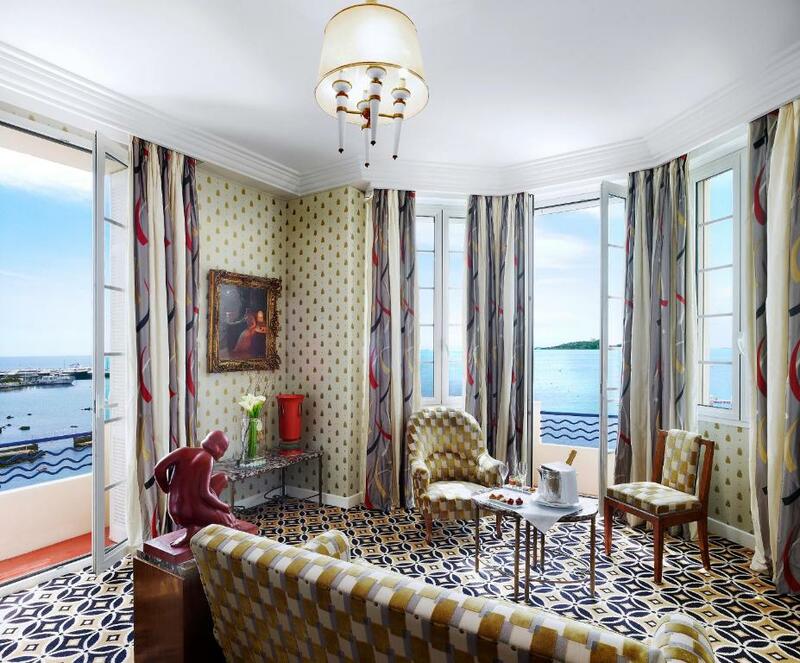 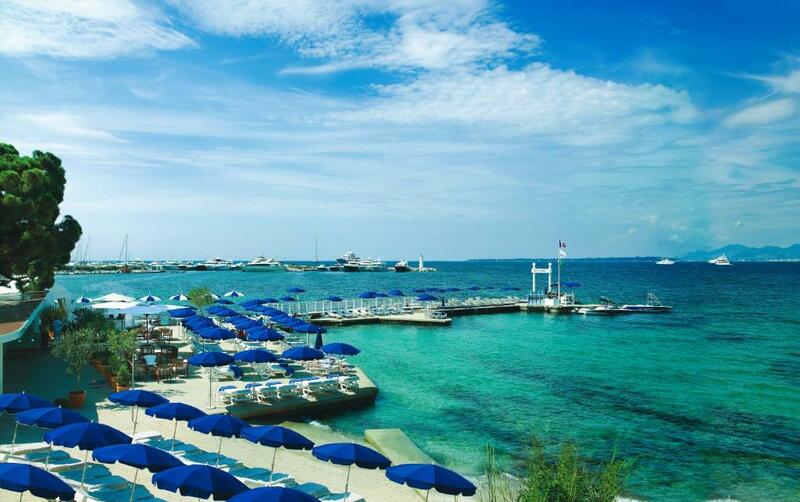 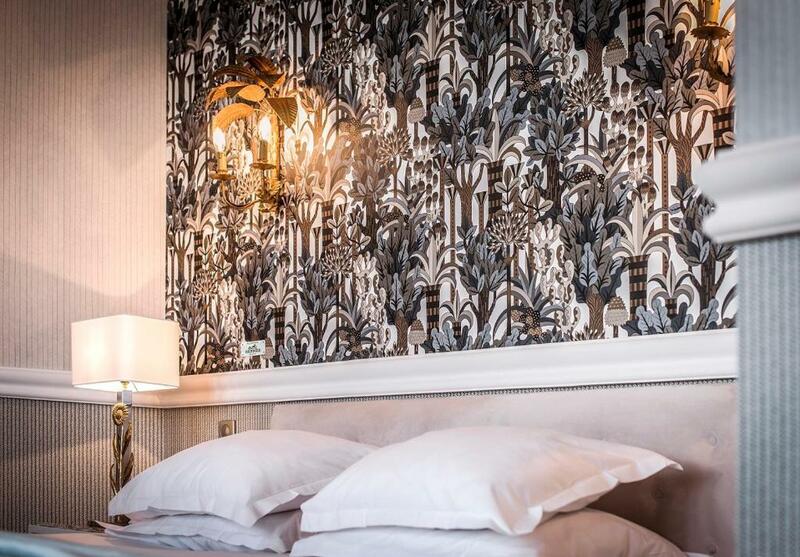 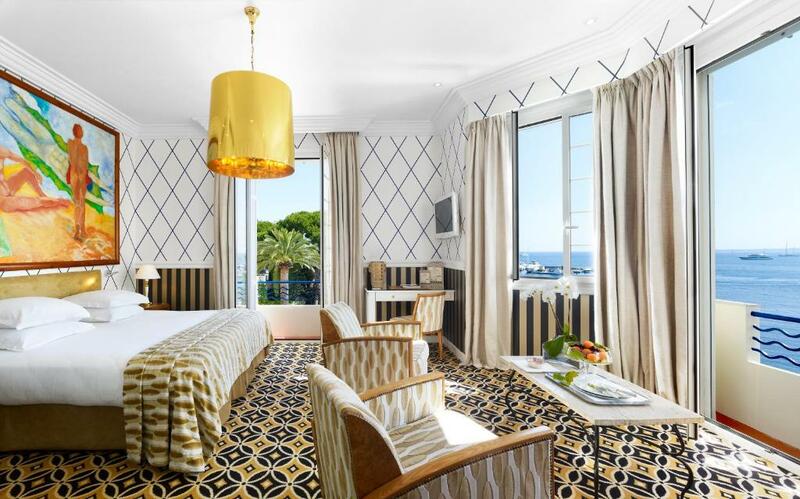 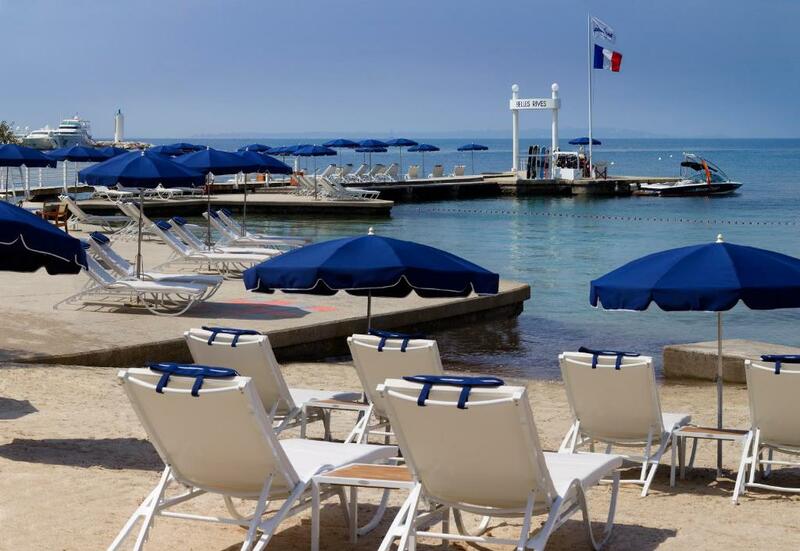 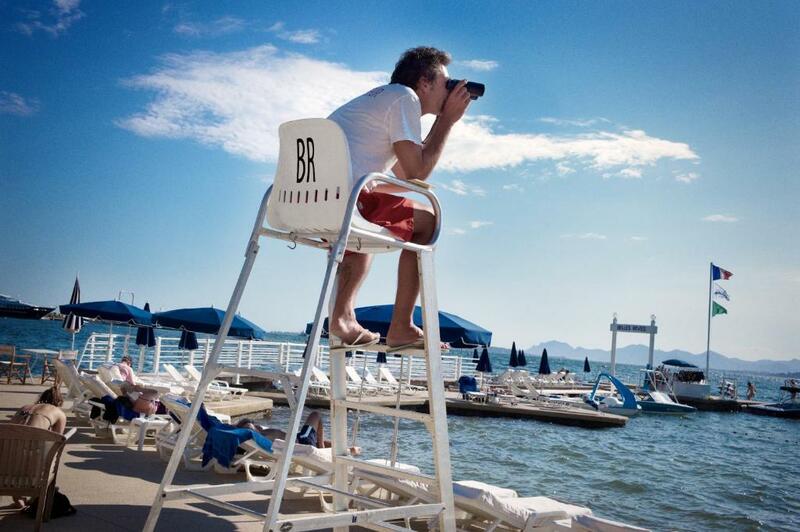 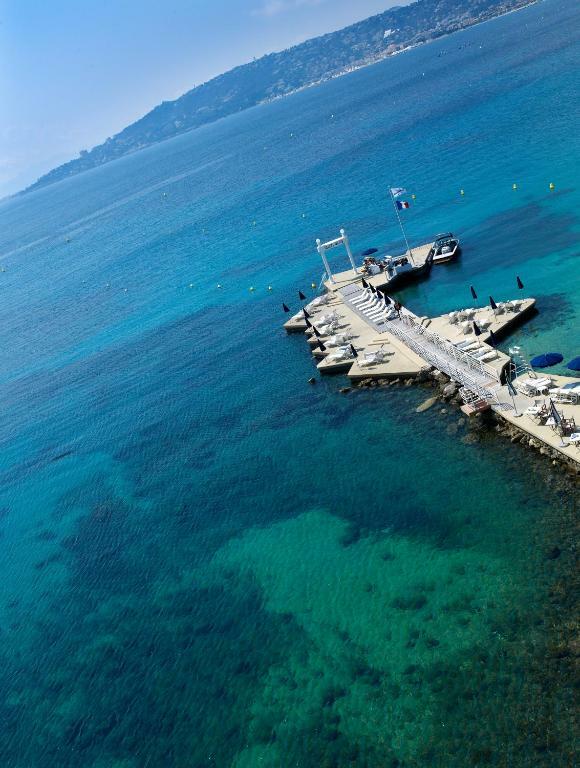 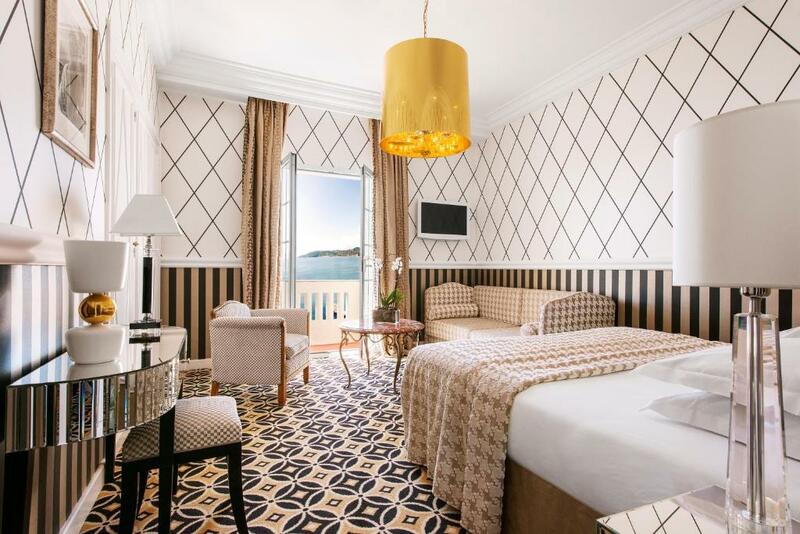 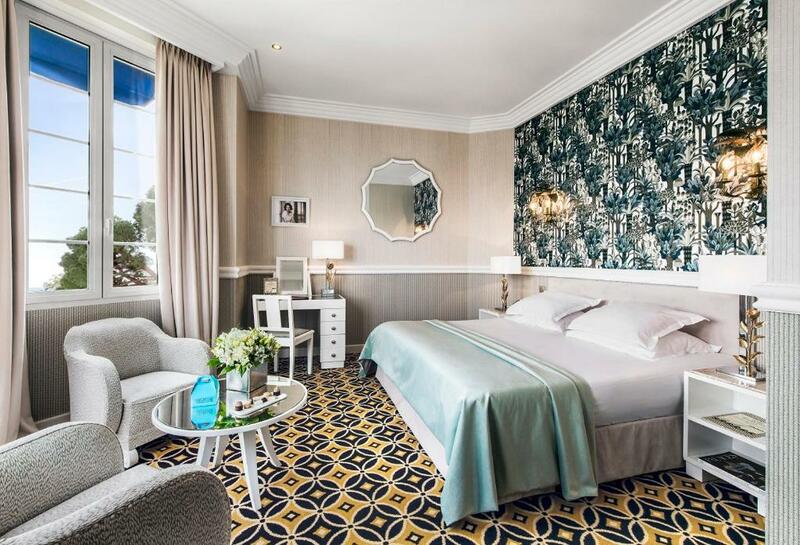 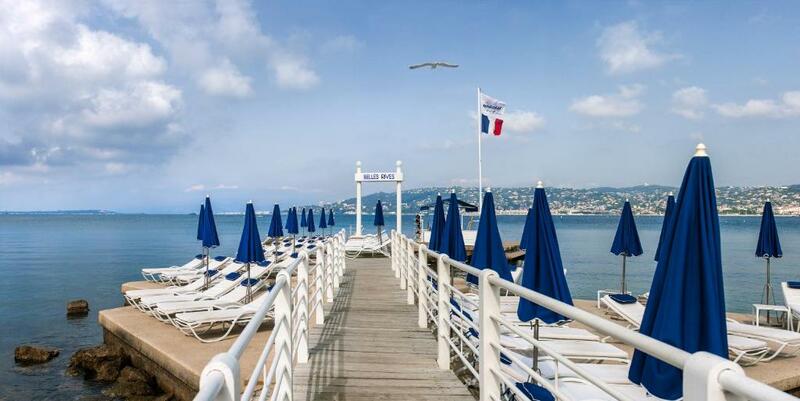 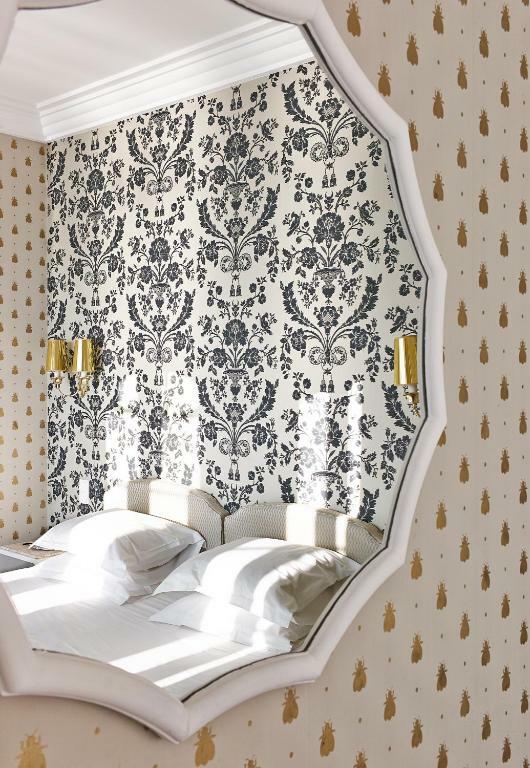 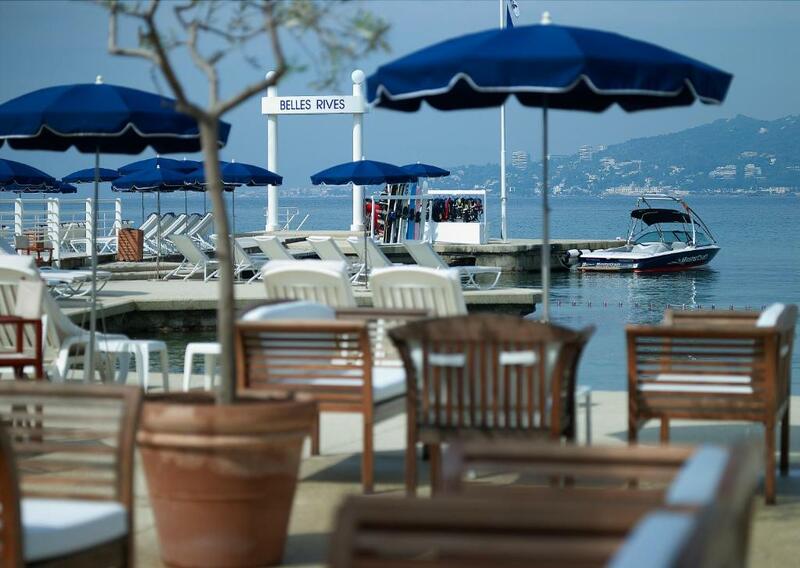 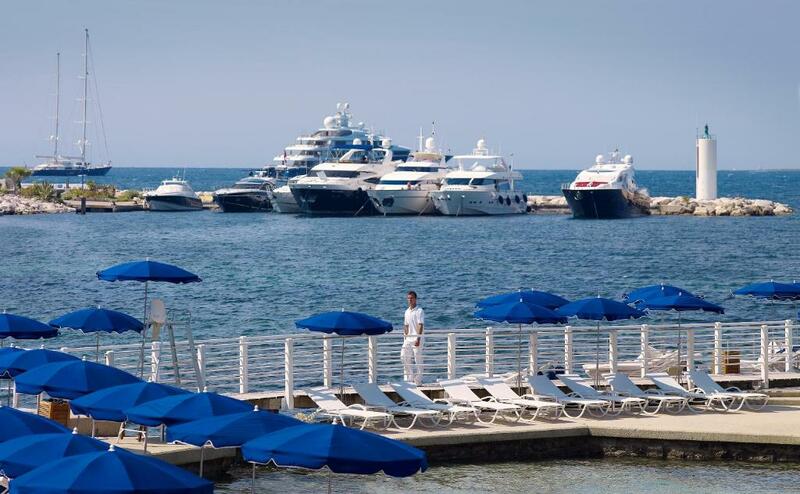 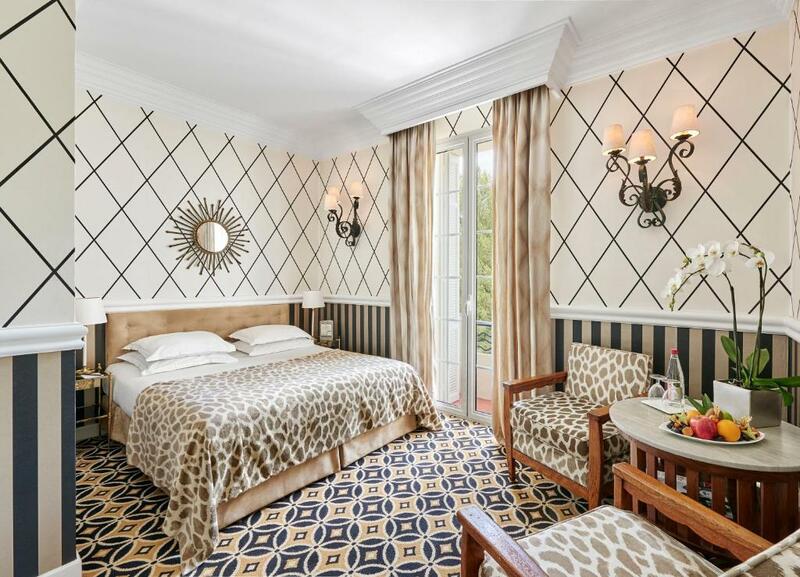 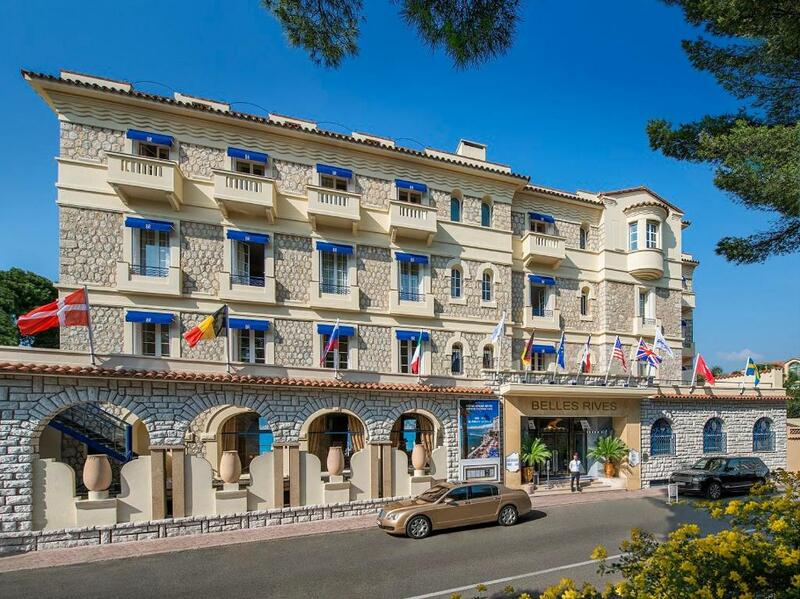 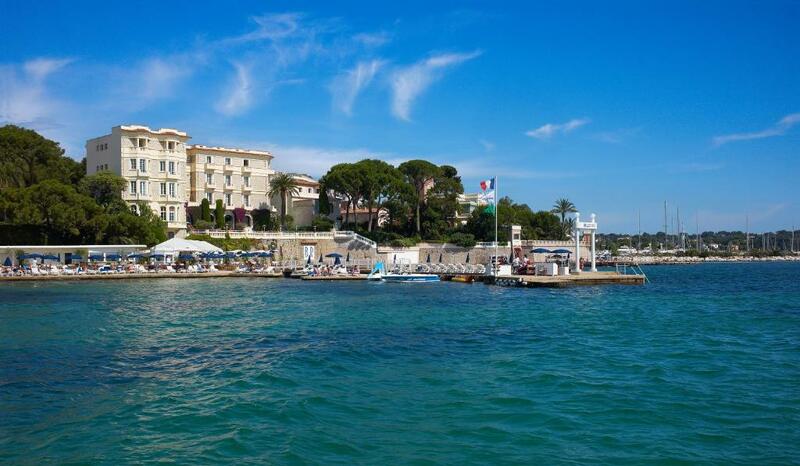 The Hôtel Belles Rives is situated right on the water front in the French Riviera town of Juan-les-Pins, 10 km from Cannes and 23 km from Nice. 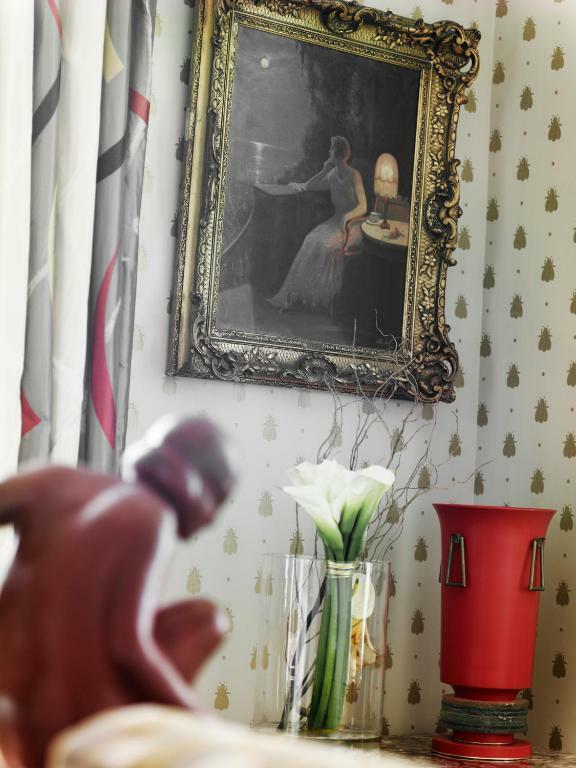 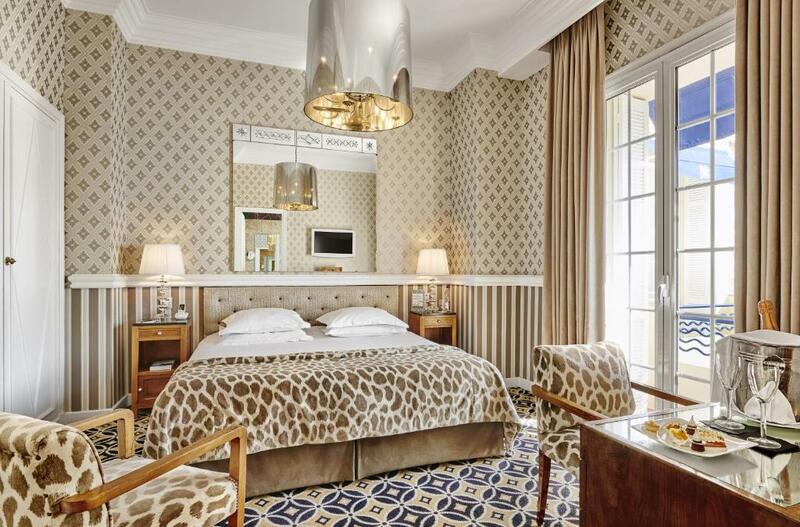 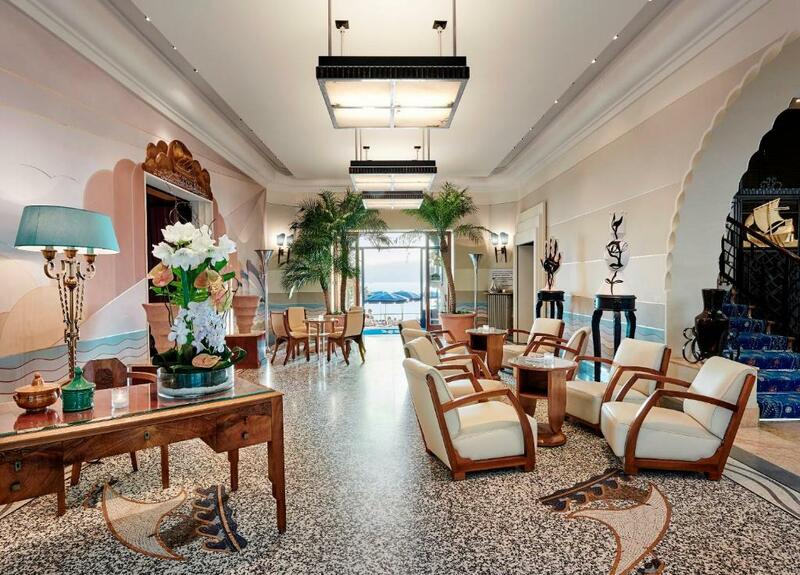 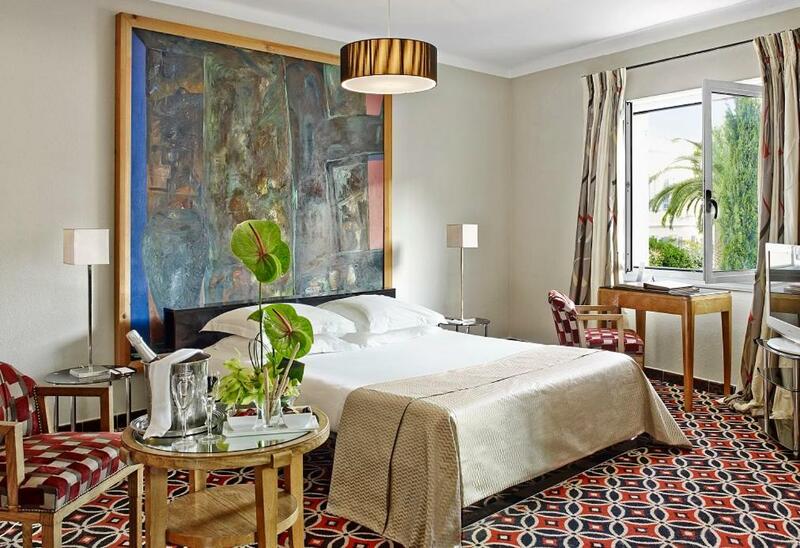 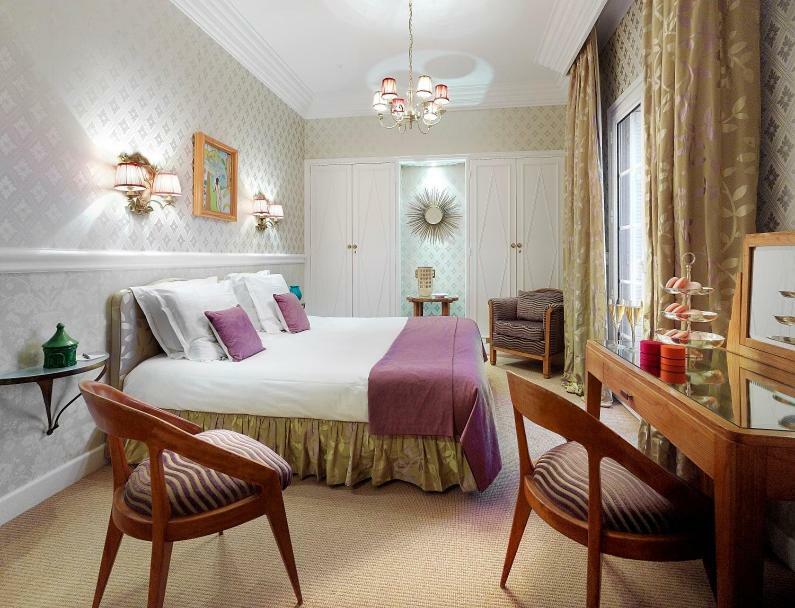 This authentic Art Deco palace offers air-conditioned rooms with a TV and a balcony. 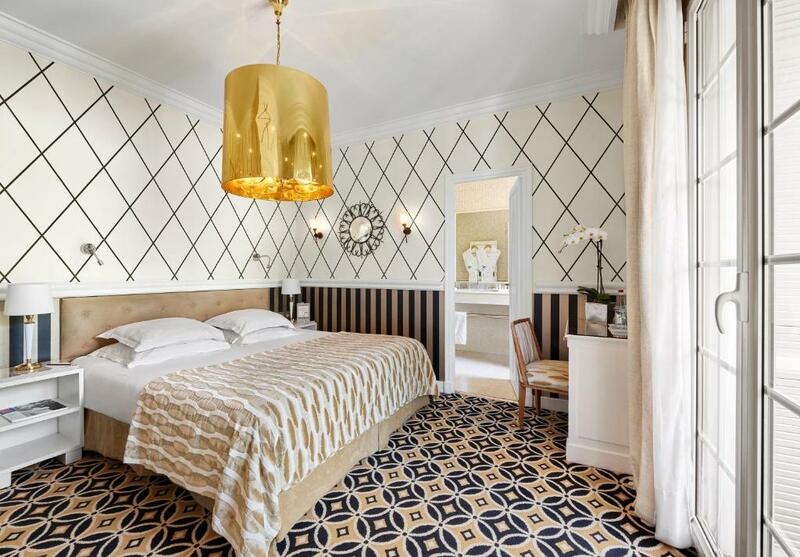 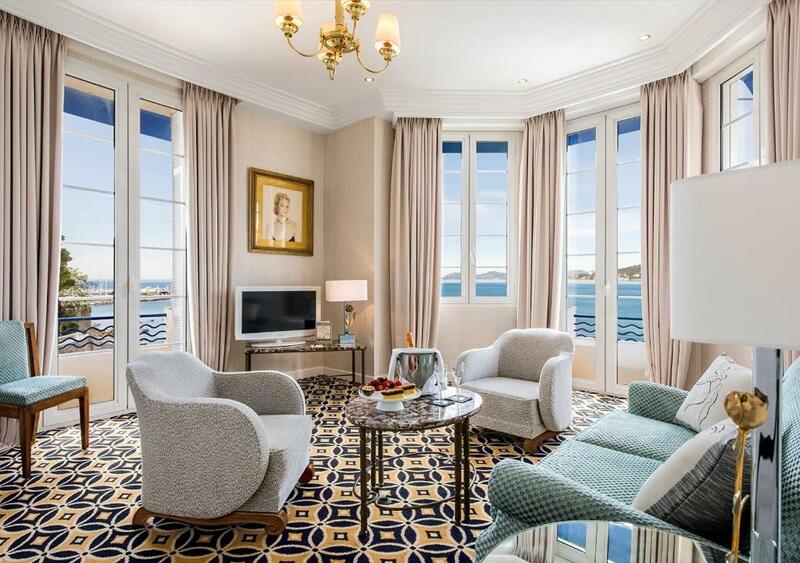 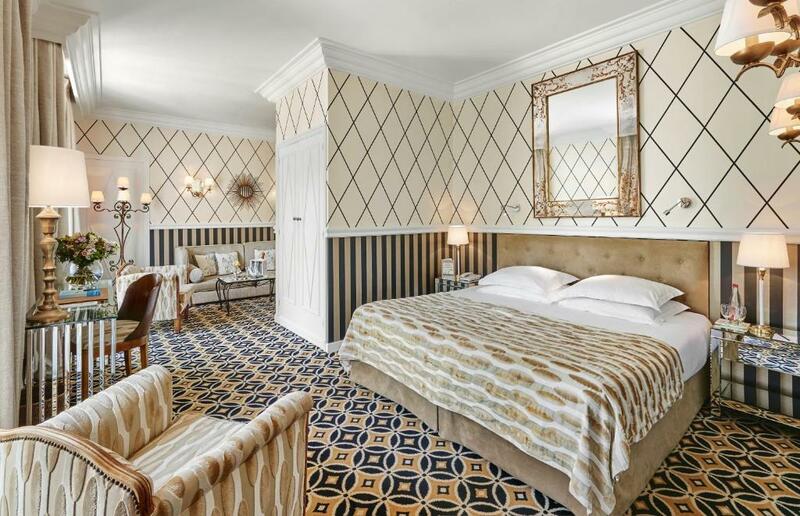 Guestrooms have Carrera marble bathrooms and some have views overlooking the Mediterranean Sea. 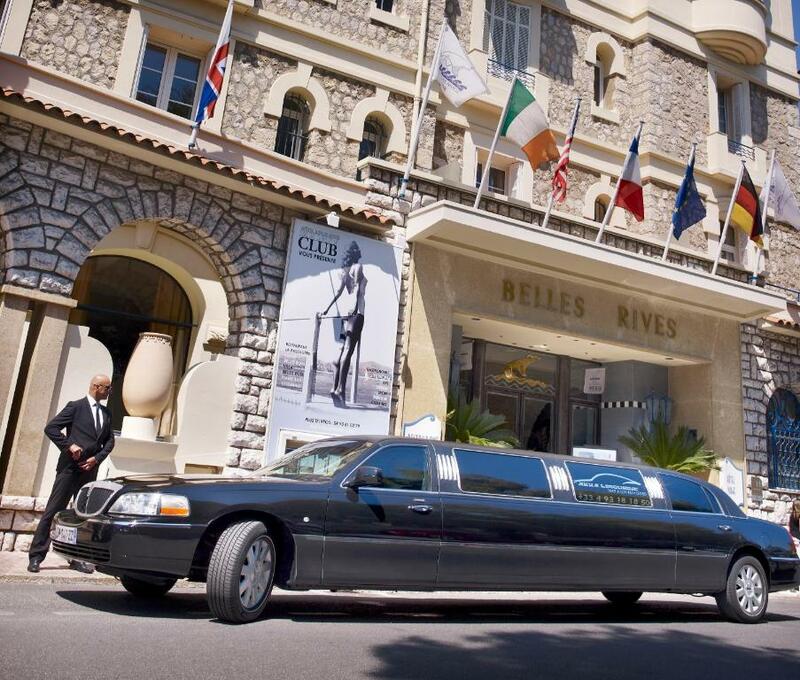 The hotel has free WiFi access, private parking and a valet service. 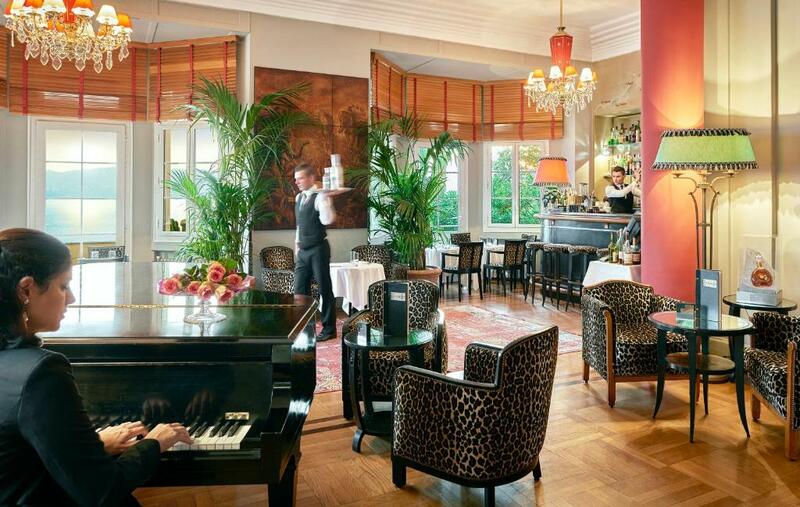 The Fitzgerald piano bar serves a selection of aperitifs and cocktails with a light menu in the bar or on the terrace. 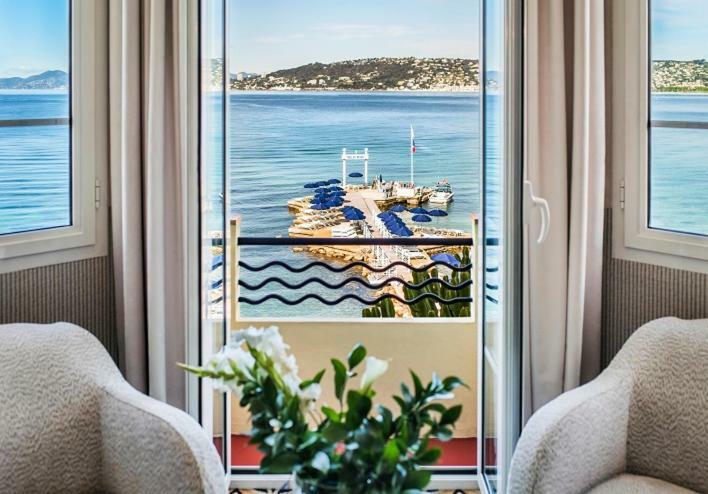 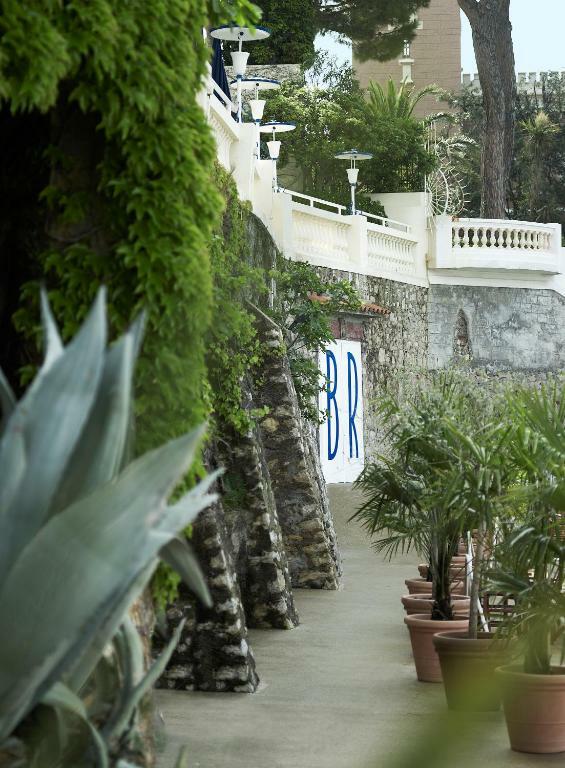 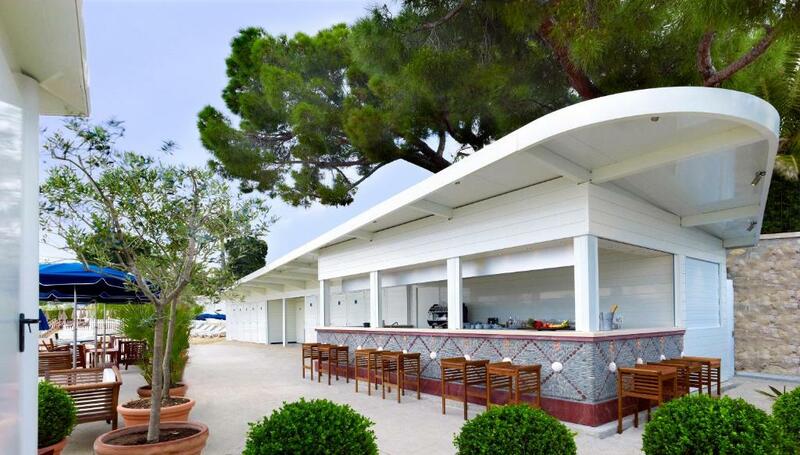 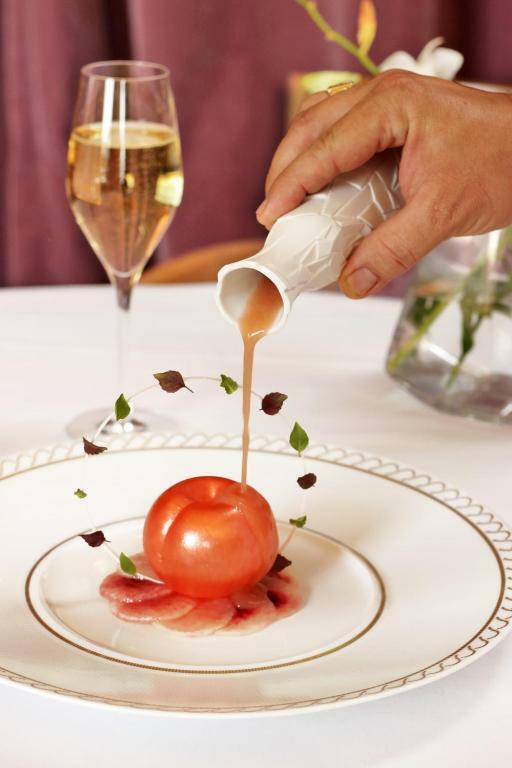 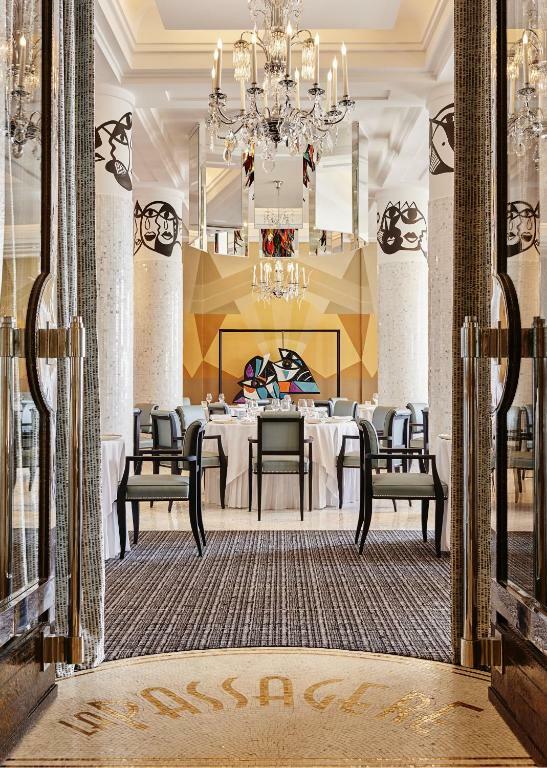 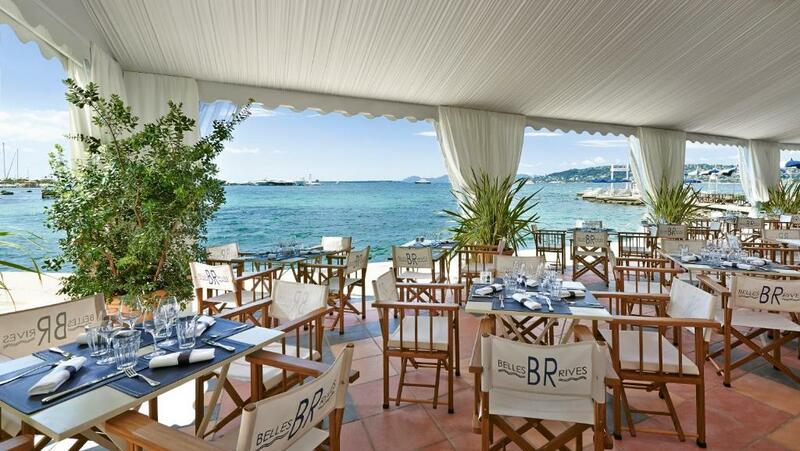 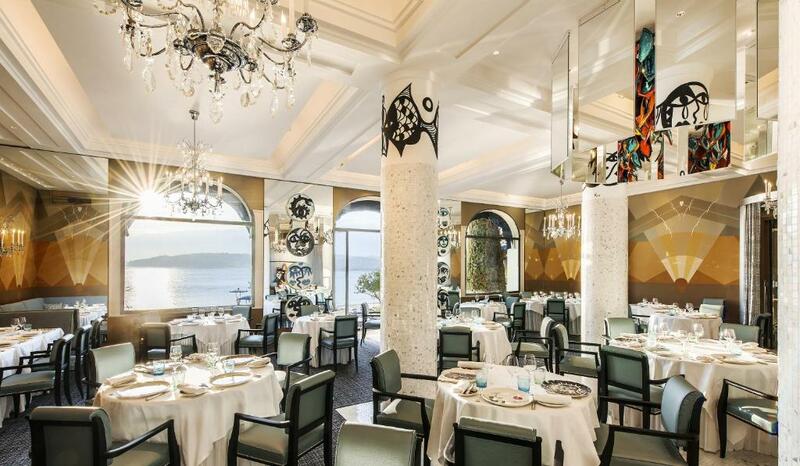 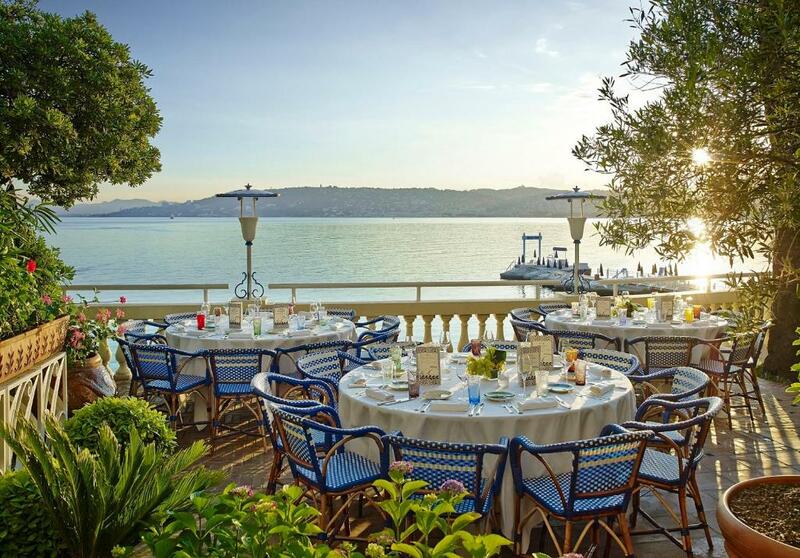 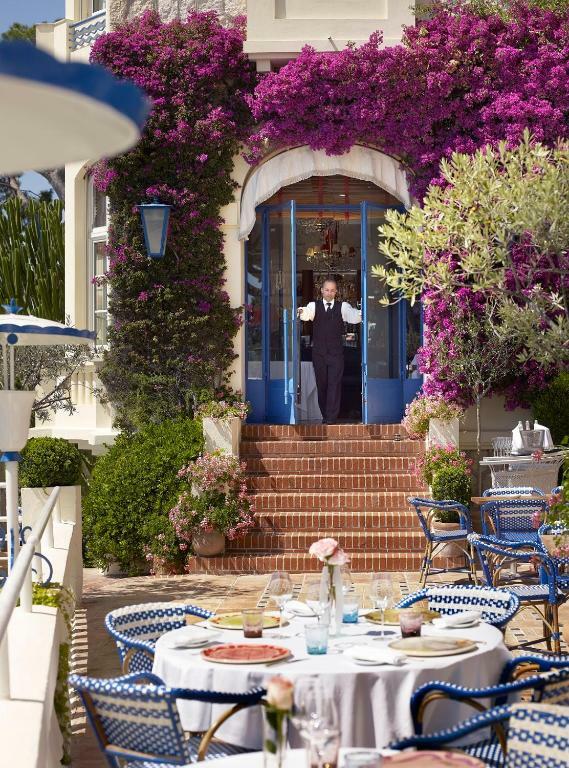 The hotel’s Michelin-starred restaurant "La Passagère" has a terrace offering panoramic views of Juan-les-Pins, the Lerins Islands and the Esterel. 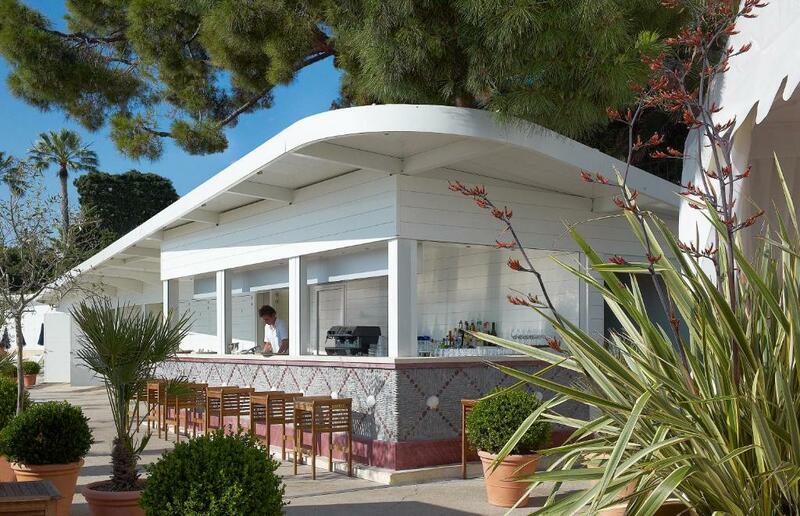 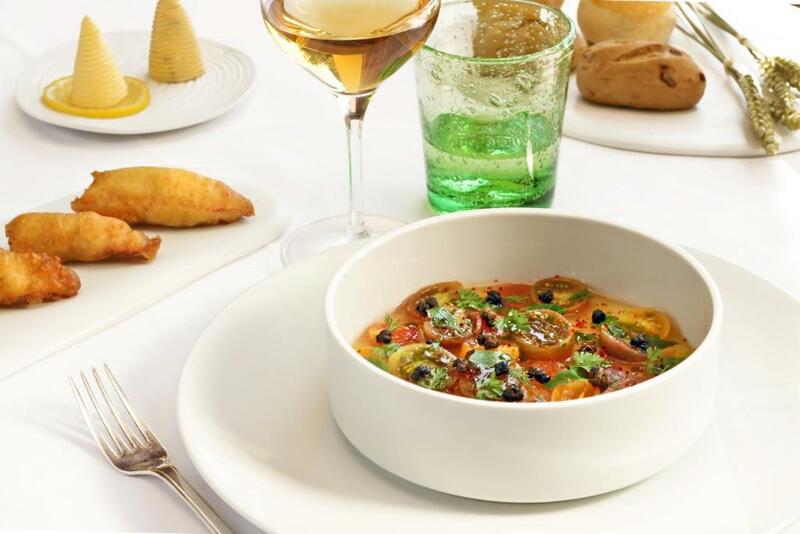 It specialises in fresh seafood and a variety of Mediterranean dishes served in hand-painted dishes. 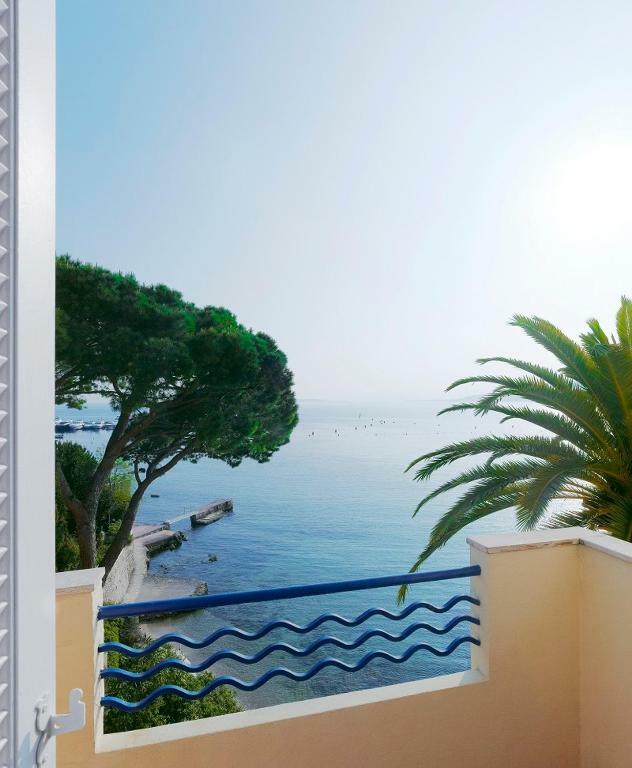 The hotel terrace overlooks the sea and guests can enjoy the private beach for an additional fee. 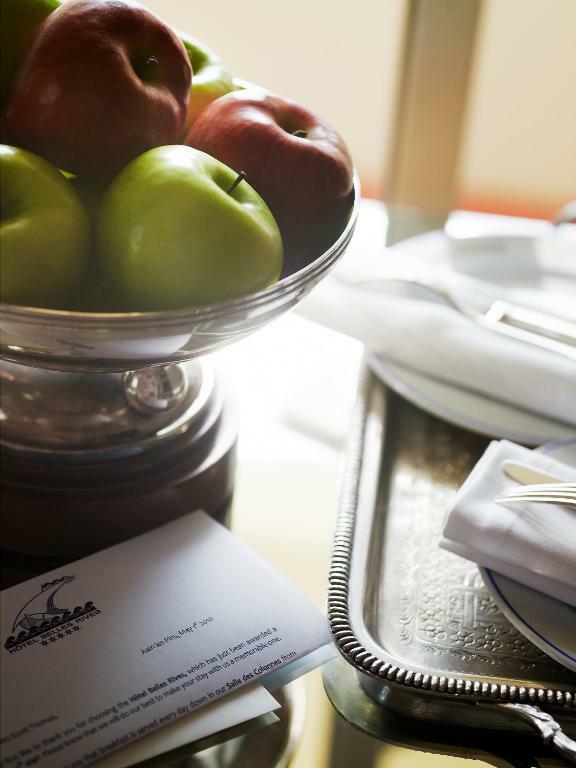 All of the hotel’s public rooms are available to rent for meetings, parties and functions. 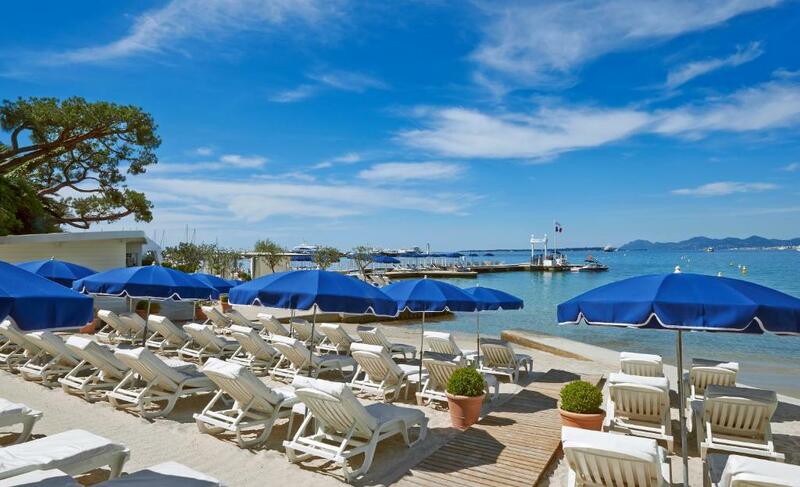 Guests have free access to the outdoor, heated swimming pool and the fitness room in a partner hotel located 300 metres away.